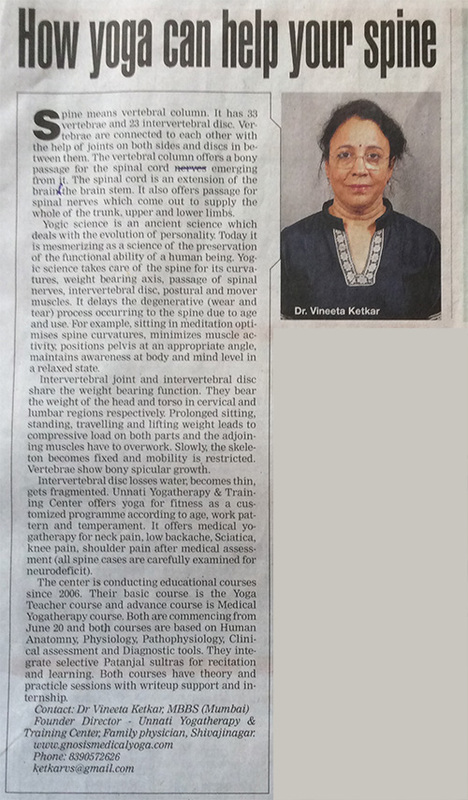 1st Medical Yoga Conference was organized by Unnati Yogatherapy & Training Center, Pune on 4th December 2016. Dignitaries from Physiology Department of B. J. Medical college & other medical colleges graced the conference. The conference was inaugurated in the hands of Dr. Ramesh Bijlani Sir, (Ex-HOD-AIIMS-DELHI). He is the authority in the field of Physiology & Philosophy. In his inaugural speech, he guided us for refinement & purification of our emotions & intelligence. He explained the concept of divine will, divine wisdom & active-voluntary surrender - which should be taken as an opportunity for self-spiritual development. 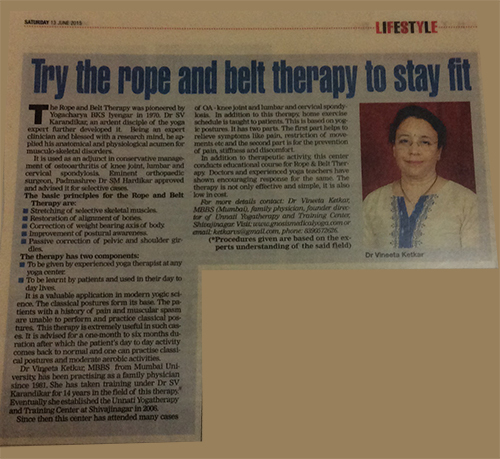 Dr. Jagdish Hiremth Sir, eminent -cardiologist of Pune, warned us about depression & rumination of thoughts. He stressed the importance of empathy, humor, calmness for helping heart. 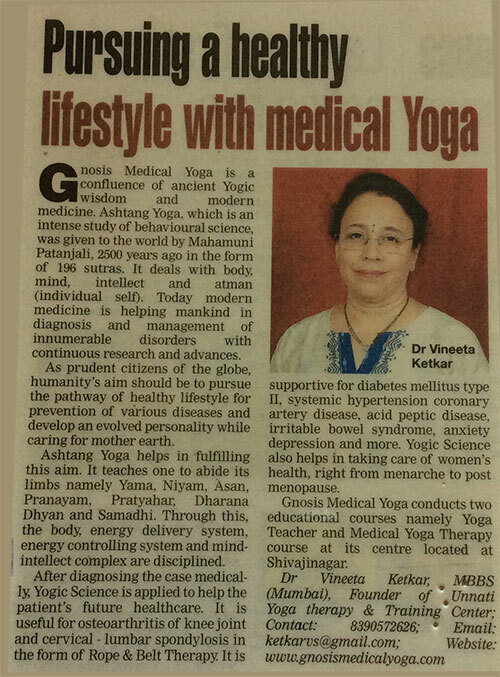 Dr. Sanjay Phadke, eminent Neuropsychiatrist of Pune elaborated, about the researches, he has undertaken, In the field of Yoga & Neuroscience. He explained the effects of Yogic Postures during practise & lasting effect thereafter. He explained the effects of Yogic postures, at EEG, EMG & Heart rate. Dr. Leena Phadke madam, associate professor, explained the new concepts of normal breathing, She elaborated about (CPG) Central Pattern Generation & told us that inter mittant efforts bring better results than continuous. Dr. Ulka Natu, eminent Gynaecologist & Obstetrician of Thane & also a dedicated Yogic person, She explained the effects of Omkar recitation on placental circulation, proved by her in foetal Doppler study.